Enchanting it is! 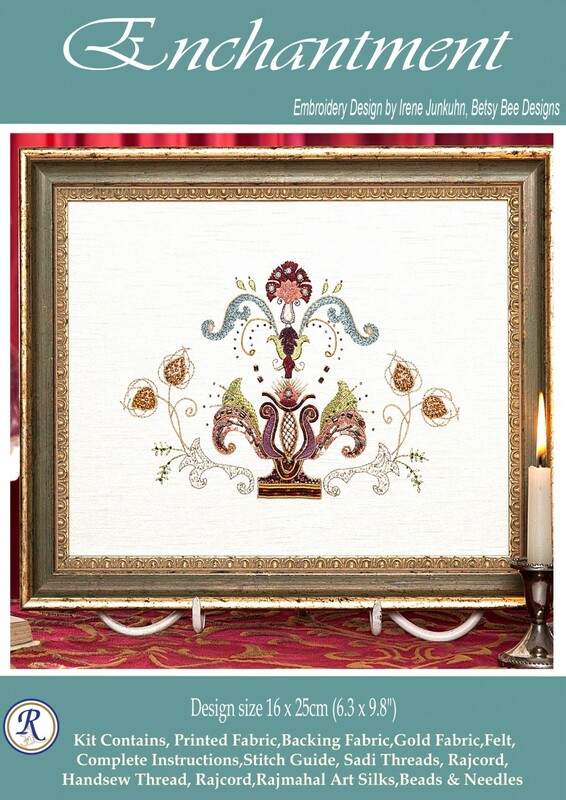 A gorgeous design that is wonderful to stitch.This splendid project was Designed by Irene Junkuhn for us here at Rajmahal using our beautiful Rajmahal Art Silk and Sadi metallic threads. This piece features an elegant carnation and a regal crown sitting atop a pedestal surrounded by various flowers, leaves and scrolls. Sadi Metal Threads, Rajcord, Handsew Thread, Beads & Needles. 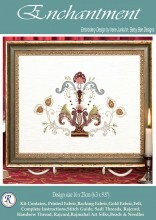 No wonder it graced the cover of EMbroidery and Cross Stitch. Fun to work, beautiful to admire.Love the new coloured sadi thread it uses too. Click the button below to add the Enchantment Kit to your wish list.